One of my favorite guilty pleasures (that is not even remotely Paleo friendly in any way) would have to be a Starbucks breakfast sandwich. I'm not sure if this is because I associate Starbucks treats with time spent with my BFF (aka Mom) or if it's because they're just salty, cheesy, savory and delicious. Probably a combo of both. 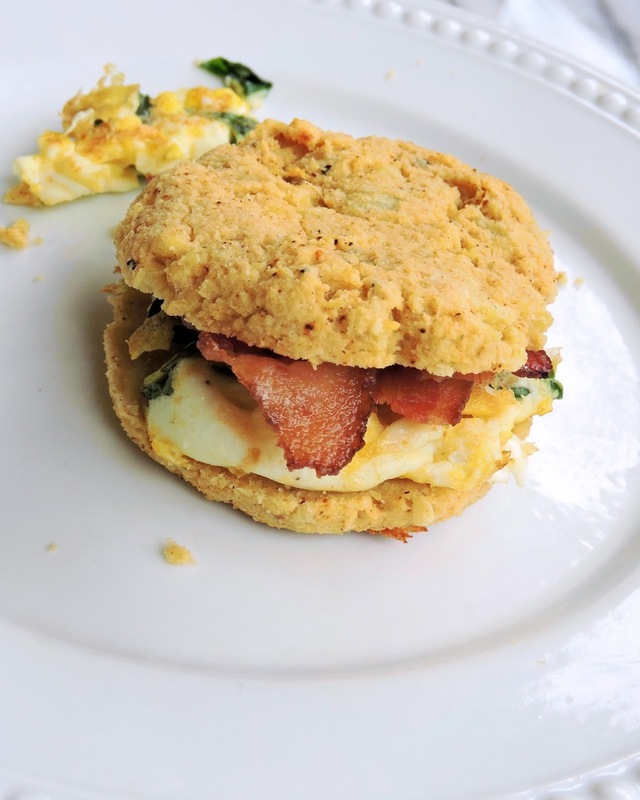 Anyway, you guys know I'm all about creating a Paleo answer to my favorite guilty treats- so here's one to help you out with that breakfast sandwich fix. 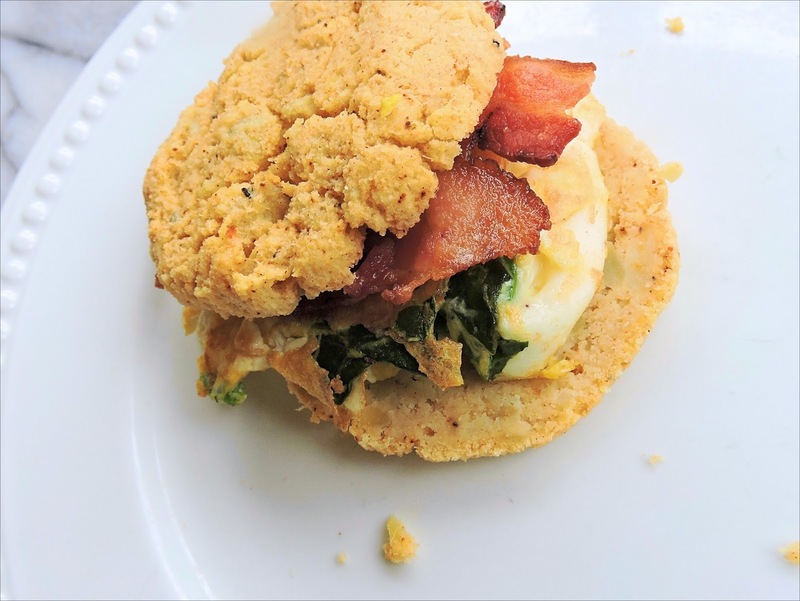 I set out to make a biscuit that was nutrient dense, nut-free (for any of my friends out there who are allergic or sensitive), still delicious, and substantial enough to slice in half & stuff with your favorite breakfast fixin's. Lucky for me, it worked! 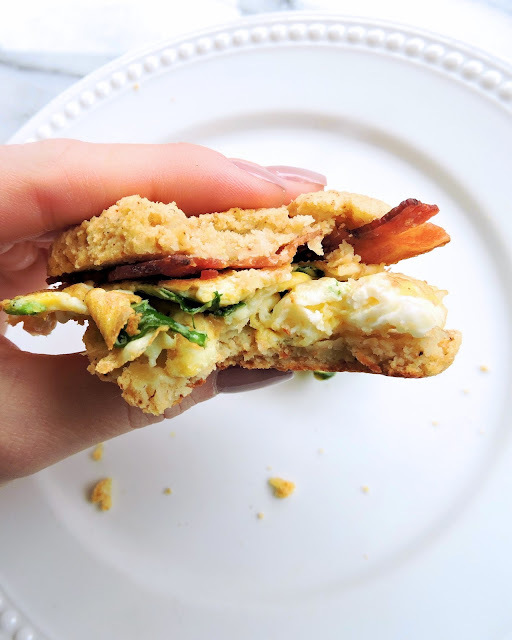 And I was able to make breakfast sandwich madness for Dathan the next few days-- prepped for his breakfast before work, on the spot line-cook style for a post workout snack, and any time in between. Our favorite turned out to be one with a quick-scrambled egg, crispy bacon, and a few spinach leaves with a dash of hot sauce. 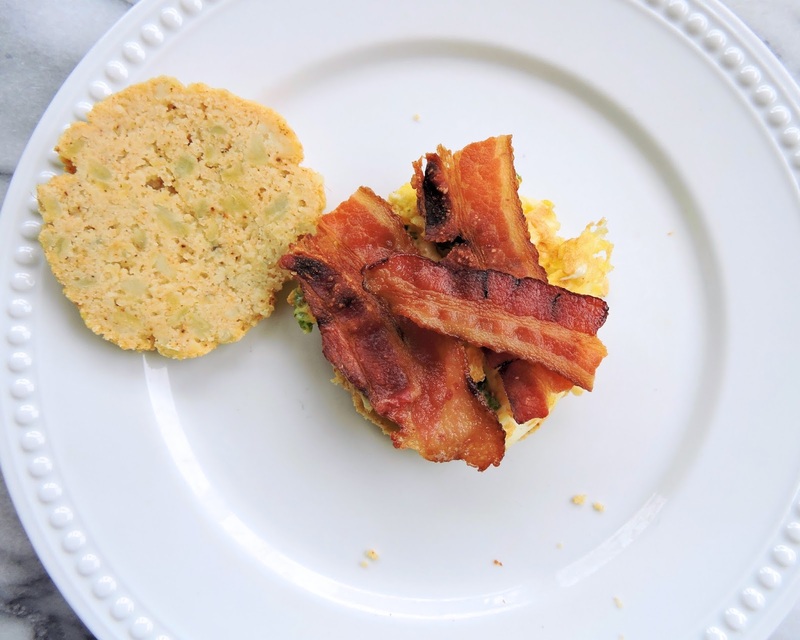 These biscuits are slightly sweet from the potato, yet savory from the spices. And they are equally delicious savored on their own with a little butter- or plain! Feel free to get creative with these, then let me know what YOUR favorite style is! In a large bowl, mash and combine the sweet potato, eggs, and butter. 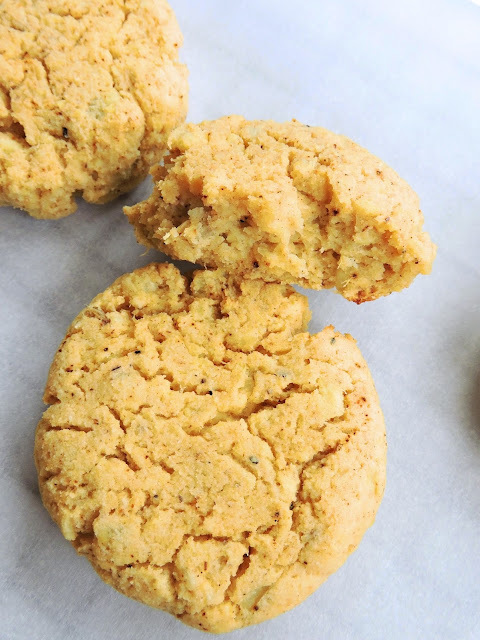 Stir in the dry ingredients: coconut flour, baking powder, and spices. Scoop out equal portions of the dough, rolling into a ball. Place on the lined baking sheet with even space between each, and flatten the tops into your biscuit shape. You can make 9 two to three inch biscuits, or aim for 6 larger biscuits, depending on your preference. Bake at 375ºF for 15 to 18 minutes, or until lightly browned on the bottoms and firm. 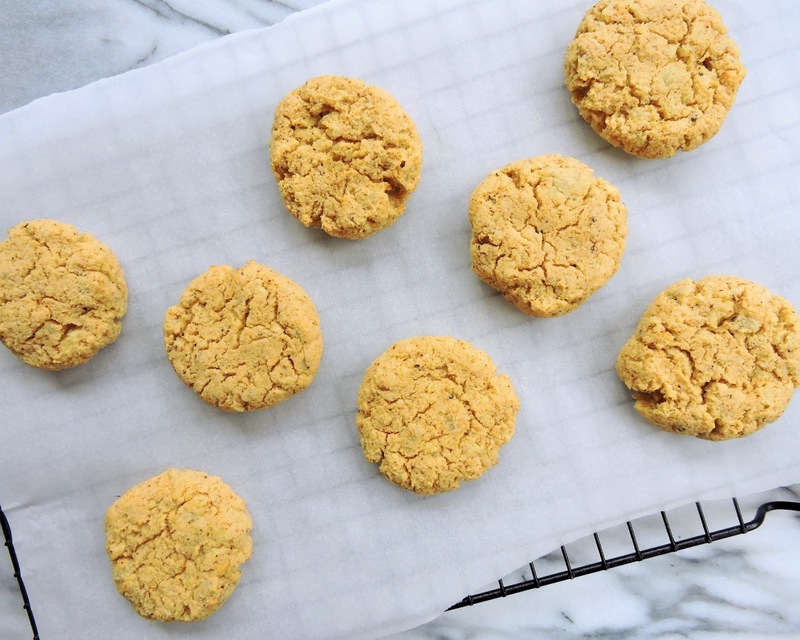 Allow the biscuits to cool for about 5 minutes, then serve as you like! You can sub your favorite cooking fat for the grass-fed butter, such as coconut oil, bacon fat, or ghee! When it comes to cooking your sweet potato, you can bake it for 30-40 minutes in a 400ºF oven, or steam it in the microwave, wrapped in a damp paper towel, for about 3 minutes per side or until soft. Are you cooking the sweet potatoes first, then using them for the dough? Yes! I'm so sorry I left that out, I didn't even realize it. Thank you for commenting so I could fix it! I either bake or microwave the potato until soft, then scoop out the flesh. I included it in the directions, with a couple of options for cooking the potato in the notes. Thanks again! What should the consistency of the dough be? Love your posts! Can you substitute the Coconut flour for Almond Flour? Can you use canned sweet potato?